To witness the spectacle of certain works by Leonardo da Vinci (1452-1519) is to experience a phenomenon verging on the mystical. 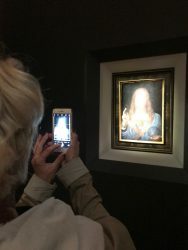 Excluding the Mona Lisa, whose true nature is barely discernible behind the thick glass and throng of tourists, many great drawings or paintings – such as the recently restored Saint Anne at the Louvre – seem to have a soul, and they all share a certain grace. Leonardo is unquestionably a genius, but he is also an extraordinary technical draughtsman and painter, who worked extensively on his craft (there are close to 4000 known drawings attributed to the Renaissance master). In his work he notably employs different techniques involving primary and derived shadows and delicate paint layers, which demonstrate an exceptional level of mastery. On 15 November in New York, Christie’s will pull off what we might colloquially refer to as a very big deal. As part of their contemporary art sale, the auction house owned by François Pinault will be presenting a painting by Leonardo da Vinci. 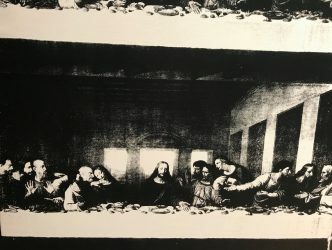 The justification for this, which in truth rather resembles a marketing strategy, is that it will be presented at the same time as a series of 60 black and white panels of Andy Warhol’s Last Supper (estimated 50 million dollars. Warhol died a few months after making them). It’s a way of saying that the history of art and its masterworks are all part of a great continuum. There is a general battle over authorship being waged in the Old Masters art world. 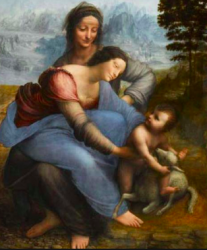 According to the art historian and Milanese specialist of Leonardo, Edoardo Villata, “today there are fewer than 20 paintings by Leonardo in existence, all of which are in museums apart from one, a ‘Madonna of the Yarnwinder’ belonging to an American collection, and the identity of its author is not entirely agreed upon”. 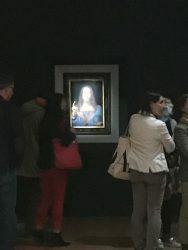 It may therefore seem miraculous, but the painting presented by Christie’s, “Salvator Mundi”, which depicts the face of Christ the Saviour, seems to have achieved a broad consensus regarding its author. The painting’s history has been full of unexpected developments. As covered extensively by the international press, the picture was rediscovered in 2005 in Louisiana and bought for certainly less than 10 000 dollars by a group of three American art dealers, Warren Adelson, Alexander Parish and Robert Simon, who had it restored in 2007 by an American, Dianne Dwyer Modestini. 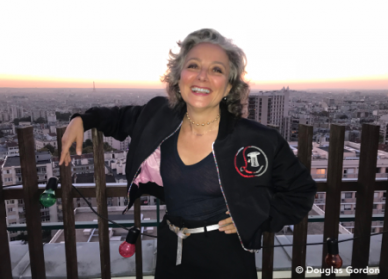 According to industry sources, Modestini is known for her robust restorations. 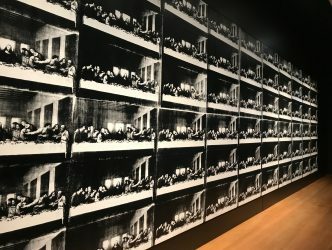 Four years ago, the painting was certainly bought for 127.5 million dollars by the Monaco-based oligarch Dmitry Rybolovlev, famous for his legal dispute with the man who provided all the artworks in his abundant collection, Yves Bouvier, head of the freeports in Geneva and Luxembourg, among others. Bouvier was supposed to have purchased it for 80 million dollars. Before that, one major development arose: in 2011 the painting was incorporated into the National Gallery in London as part of a milestone exhibition entitled “Leonardo da Vinci: Painter at the Court of Milan”. The author of the exhibition catalogue, Luke Syson who was at that time head of research at the National Gallery, dedicates three pages to the painting, leaving little room for doubt. The artwork is indeed from the hand of the great mythical figure in the history of art. Christie’s will be proposing it this month with an estimated value in the region of 100 million dollars. 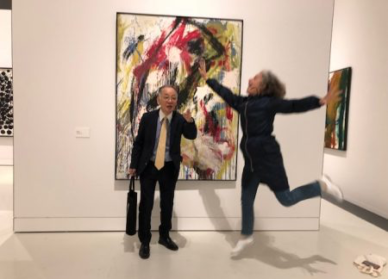 The price is guaranteed (in other words the auction house provides the seller, the Russian oligarch, with a guarantee that the artwork will not be sold for less than the lowest estimated value). 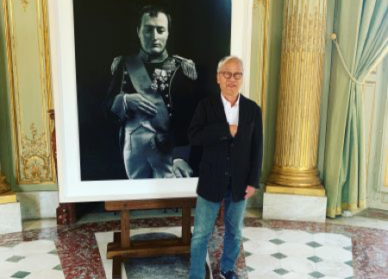 Loic Gouzer, who is overseeing the contemporary art sale, adds: “The Salvator Mundi is a painting of the most iconic figure in the world by the most important artist of all time”. The last noteworthy instance of a Leonardo on the market was the sale of one of his drawings, “Horse & Rider”, on 10 July 2001 for 13.4 million euros. Let’s not forget that in 1994 Bill Gates purchased the Codex , a scientific manuscript by the Italian master, for 30.8 million dollars. No painting by Leonardo has gone on the market since 1909. “Though both Christ’s hands are well preserved, elsewhere the picture has suffered. 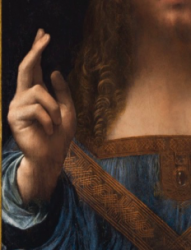 It has also been aggressively overcleaned, with some abrasion of the whole picture surface especially in the face and hair of Christ, where Leonardo’s sequence of delicate paint layers was particularly vulnerable . Edoardo Villata has seen a reproduction of the painting dating from before its restoration in 2007 and subsequent transformation. “There are numerous flaws visible to the naked eye that have appeared over time and at various intervals. It is a very, very damaged picture, but it is still an autograph work by Leonardo. 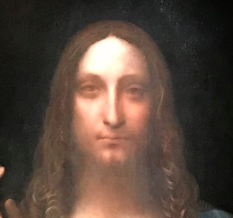 Edoardo Villata concludes : « None of the other ‘Salvator Mundi’s made by Leonardo’s followers possess either the quality or the luminosity of this one”. 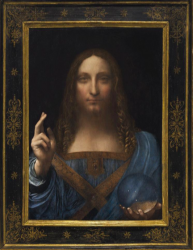 Clearly the Salvator Mundi is the embodiment of what the Americans call a “trophy painting”. On this subject, the specialists are divided. (1) This text is partly translated from the french version of the catalogue .